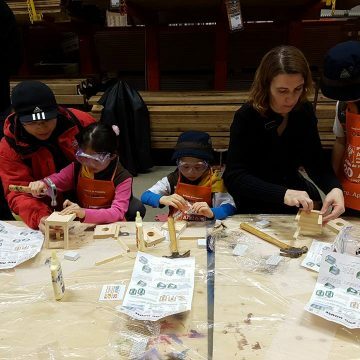 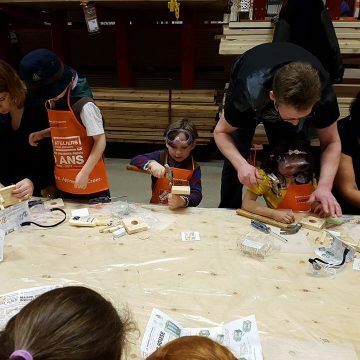 Home Depot offers monthly workshops for children. 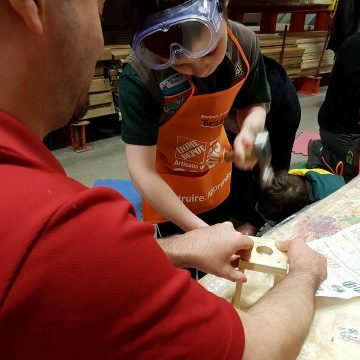 They also offer group workshops for Scouts! 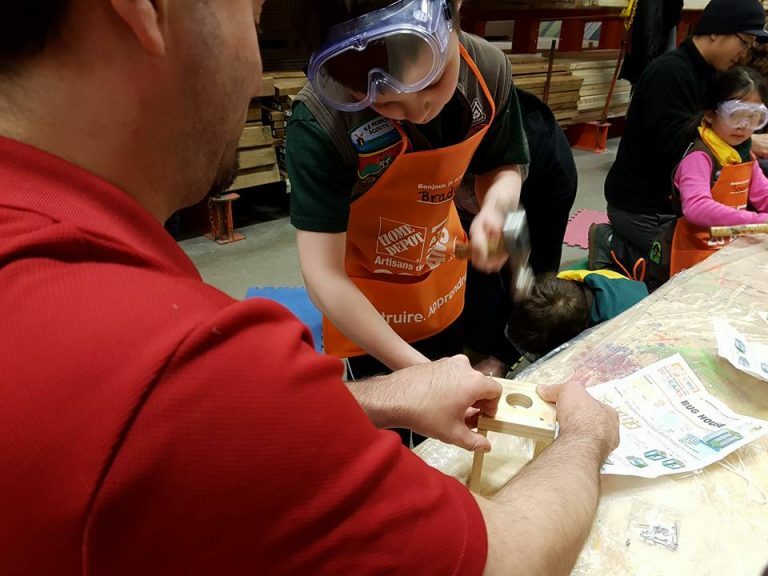 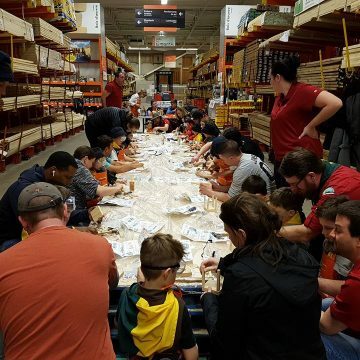 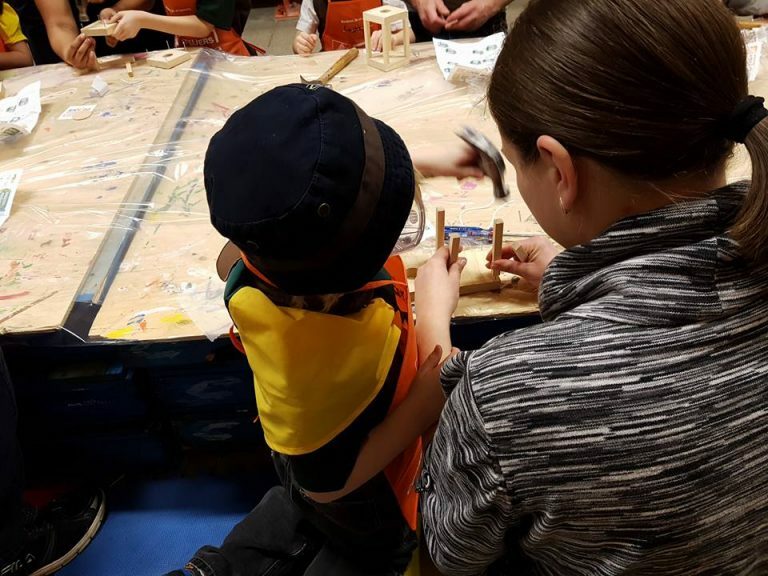 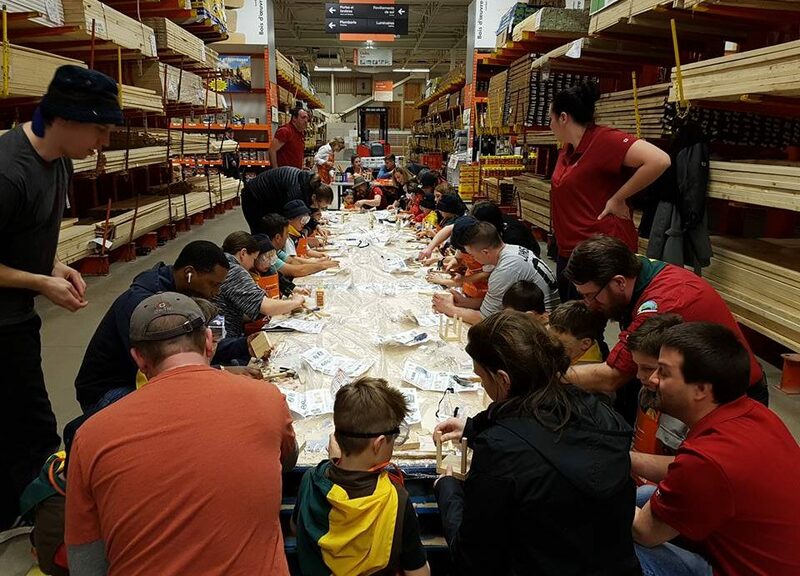 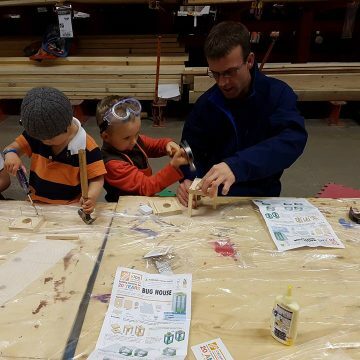 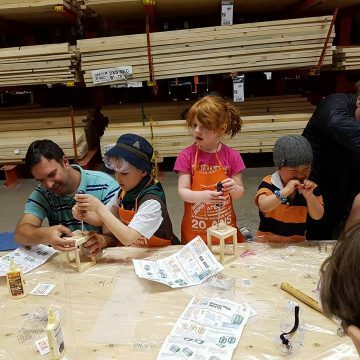 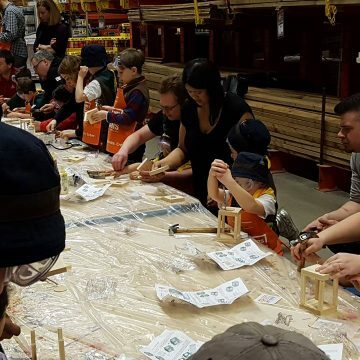 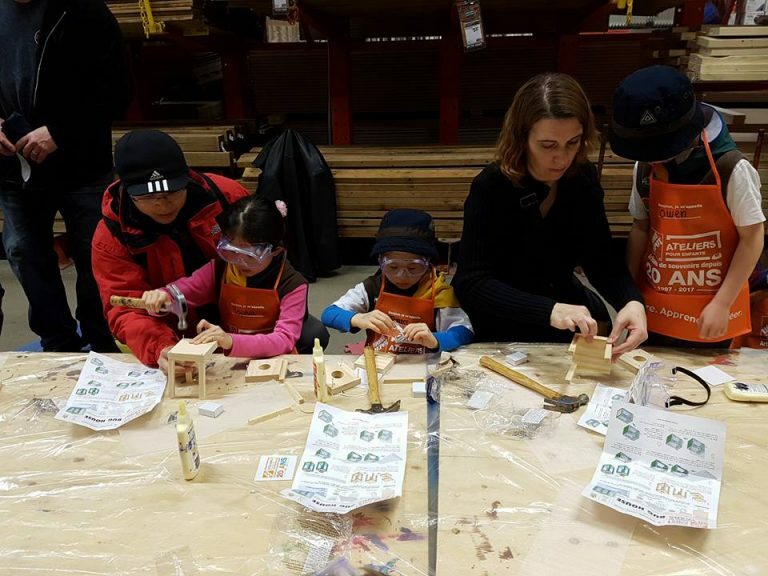 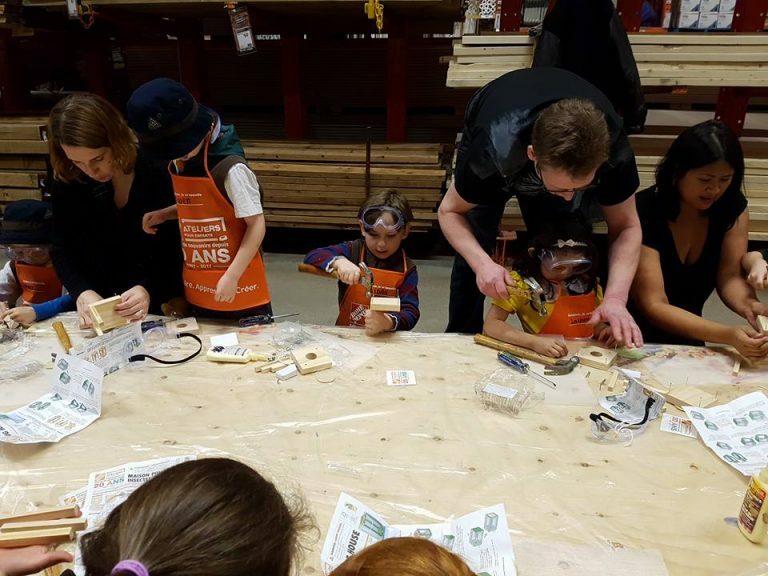 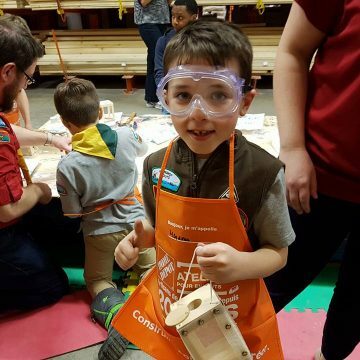 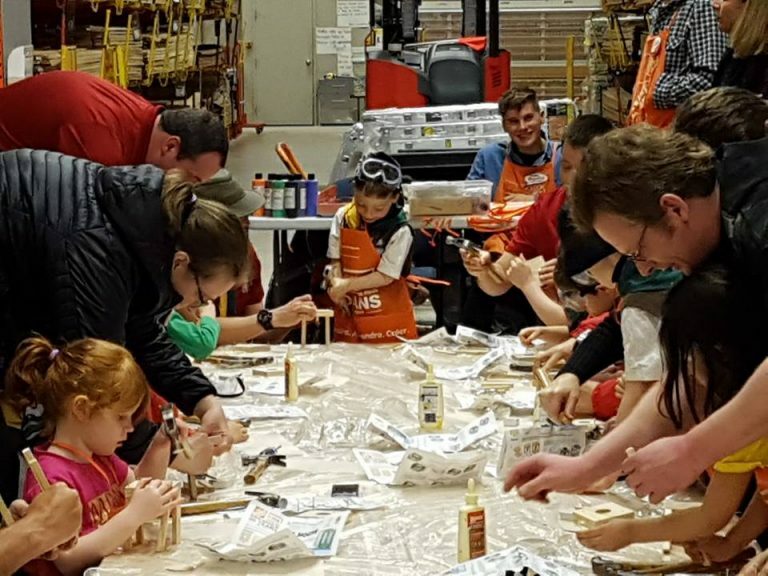 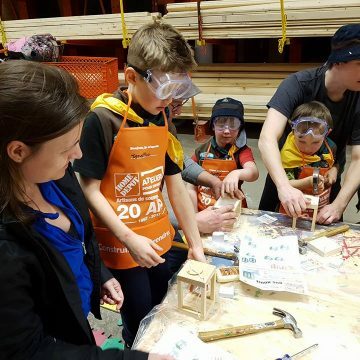 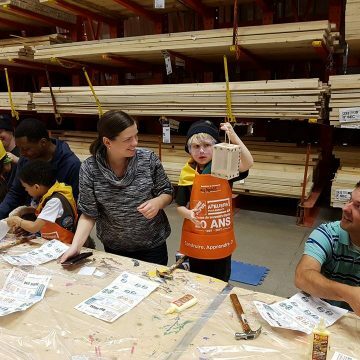 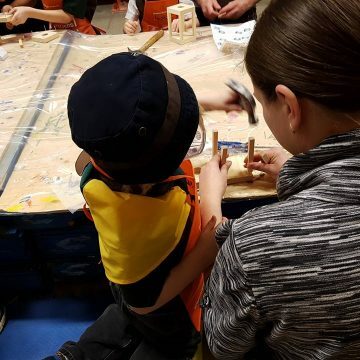 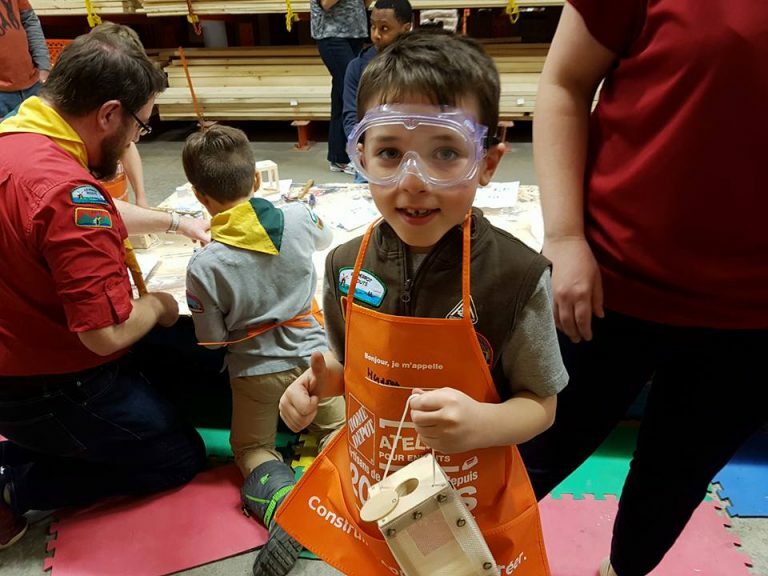 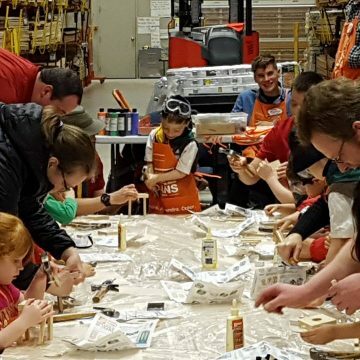 We had the opportunity this past Friday evening to host our own Beavers Home Depot Workshop at our local Vaudreuil Home Depot. 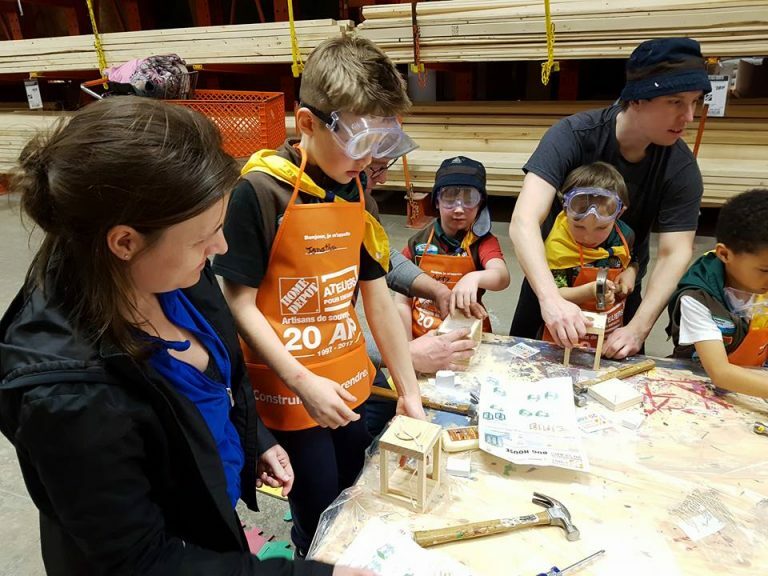 Our Beavers had fun working on their Screened Bug House. 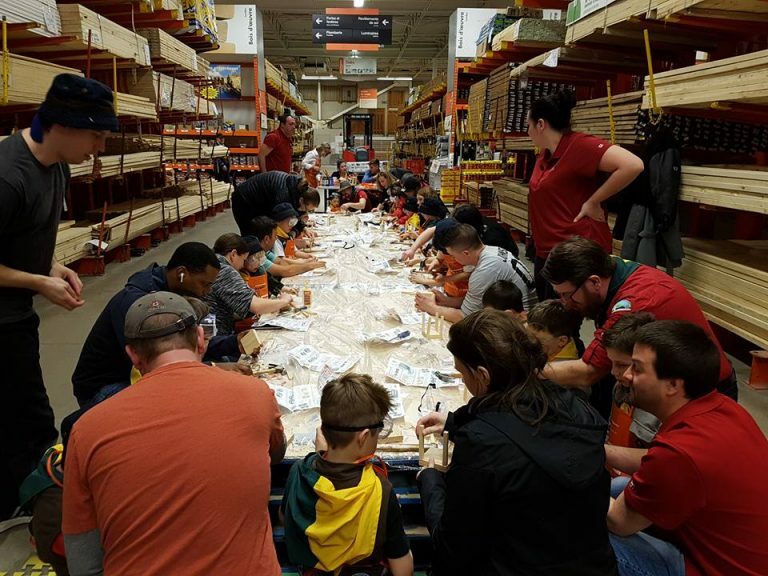 Each Beaver received a kit with instructions and supplies, a personalized Home Depot work apron, a “I did it” completion pin and a balloon. 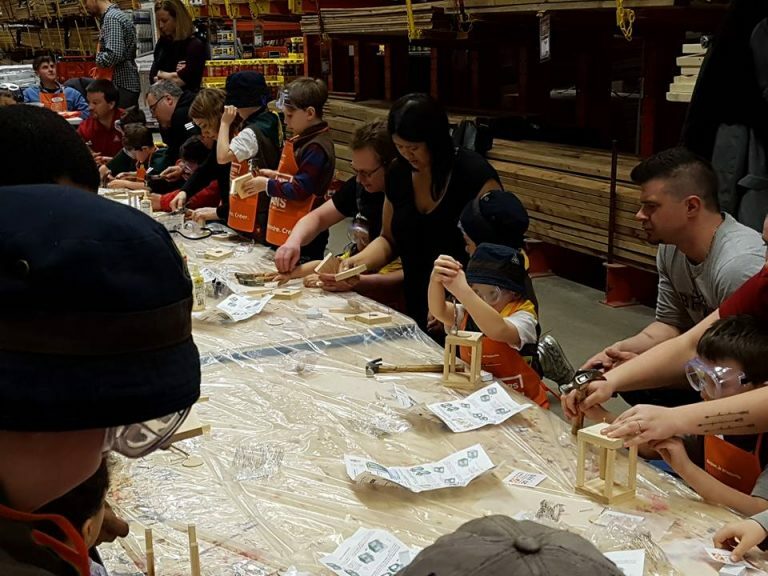 They had a blast putting it together, hammering nails, twisting screws, and tacking the screen in place. 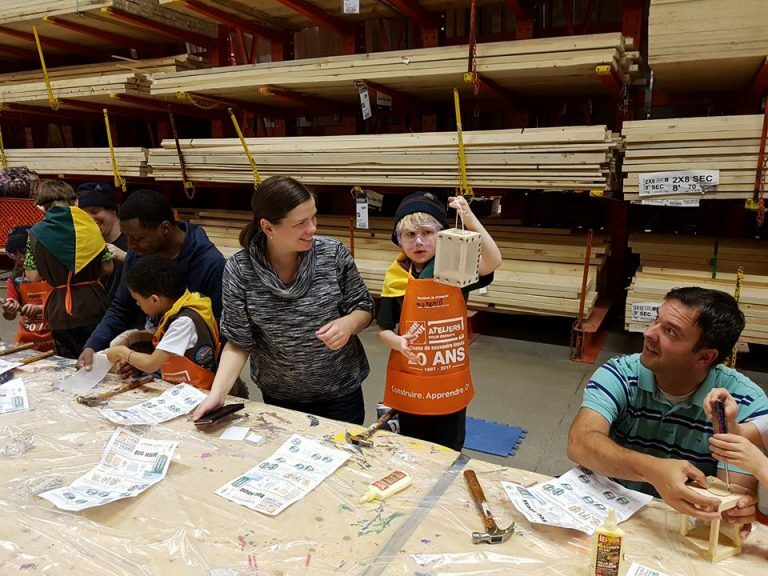 They even had the option to paint it if they wanted to. 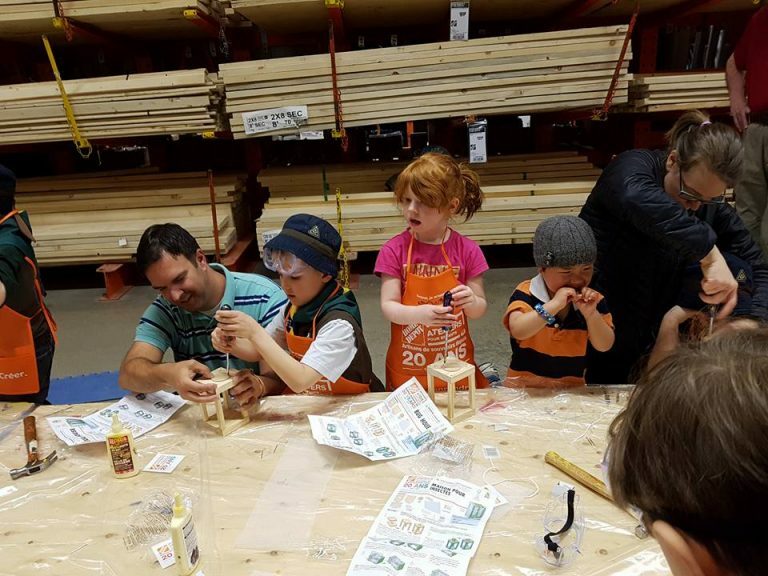 This workshop gave our Beavers confidence and satisfaction at a job well done. 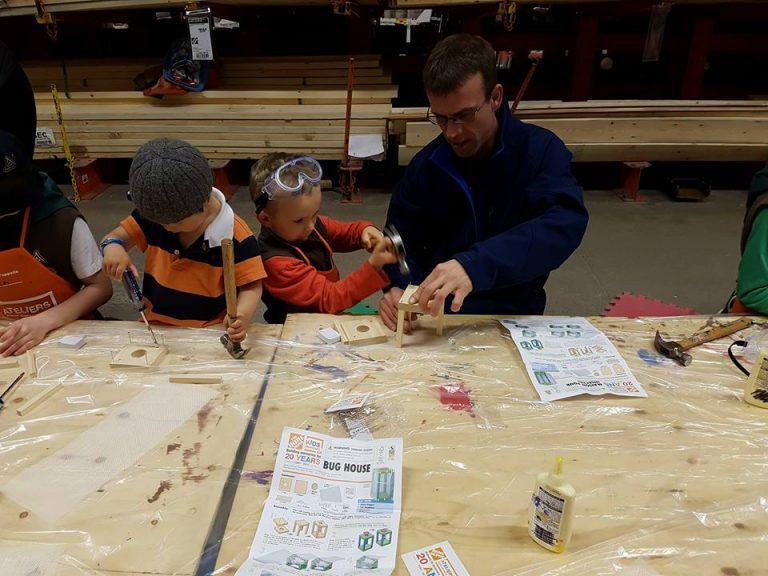 Even the parents that helped out enjoyed the evening!